Want To Stop Your Boardroom From Becoming A Bored Room? It seems crazy to think that not so long ago, presentations in the boardroom were done using flip charts, pens and overhead projectors. Fast forward a decade or two and we really thought we had stepped into the future when we started using laptop images projected onto a screen. These days, technology in all fields is advancing at a rapid rate, and the boardroom is no exception. The rise in popularity of Bring Your Own Devices (BYOD), and the increasing number of employees working remotely, means companies need to find better ways of handling multi-device presentations than by connecting cables. Fortunately, you don’t have to risk having out of date and unusable conference, meeting and training rooms. Wireless corporate boardrooms are the future of presentations, allowing streamlined collaboration between all participants in the room, regardless of what device they’re using for their presentation, as well as allowing input from employees out of the office. One of the greatest benefits offered by wireless presentations is that they are completely interactive. Most systems allow numerous users to connect simultaneously to either give a collaborative presentation or have an open forum discussion. They are also compatible with any device – not only traditional laptops with VGA connection – and any operating system. Wireless technology offers huge advantages for training programmes too. In larger training rooms, not all employees are able to see the presentation screen clearly or read the print on the screen. Wireless presentations systems allows trainees to log in and watch the presentation from their own device. Another great benefit of a wireless presentation is that it is exactly that – wireless. No nest of cables to untangle, sort out and connect up again. No hunting for the right adaptors or having various outputs on standby – HDMI, VGA, HDMI to VGA, Thunderbolt, Lightning and so on. A wireless corporate boardroom looks sleek, professional and organised. Exactly the kind of image you’d like your company to project, especially when making presentations to important clients, or potential new ones. Audio Visual Centre (AVC) has been providing unmatched service, technical expertise and the most advanced technology to high profile clients for over 30 years, and we would love to do the same for you. 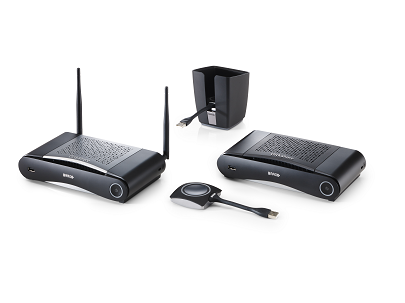 Chat to us about how you can use wireless presentation technology in your corporate boardroom. Warren is Technical Director at AVC and has worked in the AV industry for over 24 years.